Dubai — 17 June 2009 — Seagate (NASDAQ: STX) announced today that Mark Whitby has been appointed vice president, Sales and Marketing, for Europe, Middle East and Africa. 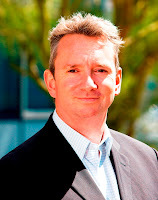 Based in Marlow, England, he will oversee all sales and marketing activities in the region. Whitby joined Seagate in 2007 and most recently held the position of executive director, FSU, Middle East & Africa Sales and EMEA Marketing with the company. He will report to Kurt Richarz, Seagate’s executive vice president for sales and marketing. Whitby has over 20 years’ experience working in the IT and communication sectors. Before joining Seagate he held senior sales and marketing positions with Vodafone and Intel, and began his business career at ICI. Whitby holds a BSc in economics from the University of Salford.